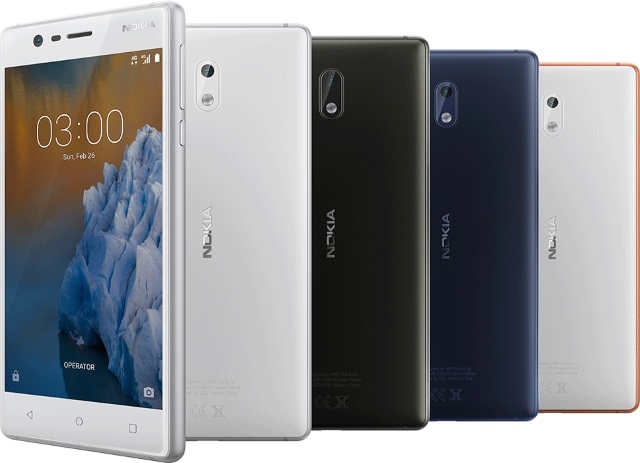 Nokia and Airtel have shared several partnerships from various offers on handsets during the smartphone maker’s pre-downfall period to several deals for telecommunication equipment. The alliance is now advancing further as the two companies have partnered for ₹2,000 cashback on entry-level 4G smartphones from Nokia. The offer applies to Nokia 2 (buy here) and Nokia 3 (buy here) which are manufactured by HMD Global. With a cashback of ₹2,000, the effective price of the two budget handsets is lowered down to ₹4,599 and ₹6,270 effectively (prices vary slightly according to the color). While buying the handsets, however, users will have to pay the full price i.e. ₹6,599 for Nokia 2 and ₹8,270 for the Nokia 3 device. The promised cashback will be credited to the user in form of two installments – ₹500 will be returned within the first 18 months of purchasing, while the remaining ₹1,500 will be refunded after completion of 36 months (three years). To recover the promised ₹2,000 cashback, users will have to recharge their smartphones for a total of ₹3,500 in the 18 months, and the same amount over the next year and a half. This means that users will have to recharge with at least ₹185 every 28 days, so it might be a deal breaker for rural users. The offer could be a promising one for city-dwellers, especially those who have firm faith in the brand name Nokia. Nokia 2 and Nokia 3 are also eligible for Jio’s Football offer, under which the telco offers ₹2,200 as cashback. To avail the offer, users must get a first recharge with ₹198 or ₹299. The cashback can then be redeemed in form of discounts of ₹50 during the 44 subsequent recharges. A similar offer is also applicable on Redmi Note 5 and Note 5 Pro. Following peers, Idea Cellular is also offering a cashback of ₹1,500 on the entry-level 4G smartphone – Panasonic P100 – whose 1GB and 2GB RAM variants cost ₹5,299 (buy here) and ₹5,999 (buy here) respectively. Like Airtel’s offer, Idea will return the intended cashback in two installments which will be credited after 12 (₹300) months and 24 months (₹1,200) of usage.